Tyre review data from 386 tyre reviews averaging 86% over 3,665,137 miles driven. The Goodyear Eagle F1 Asymmetric 2 is here! Positive - Good wet handling, good comfort. Positive - Sporty handling with stable cornering and a good steering response, short wet and dry braking, good levels of comfort. Negative - Average dry handling. Mileage entirely depends on vehicle type, power, driving style and road conditions! We have reports of the Asymmetric 2 lasting anywhere between 5,000 and 50,000 miles, but on an average high torque diesel vehicle like an Audi A4, we'd expect the fronts to last somewhere around 20,000 miles and rears towards 35,000 miles. 2018-05-19 - I am looking for a replacement set of tyres for a 2006 jaguar xjr. I have had Hankook Ventus V12's which were a great tyre but soft sidewalls. Nexen N1000 have been a great compromise but they pick up punctures easily so I am getting rid of them. Problem is the cost of medium range tyres has exploded over the past 6 years and there is little difference between a nexen Su1, dunlop maxx 050+ and goodyear AS3. One of the tyre shops hates Goodyear product and says they are inferior quality despite the high test scores. I heard the AS2 is a better tyre than the AS3 because it has a stronger sidewall. So what is the best choice of tyre if i don't want to spend crazy money on Michelin. I wonder why the tyre retailer you've spoken to dislikes Goodyear products, given the hundreds of independent objective tests they've been featured in prove them wrong. 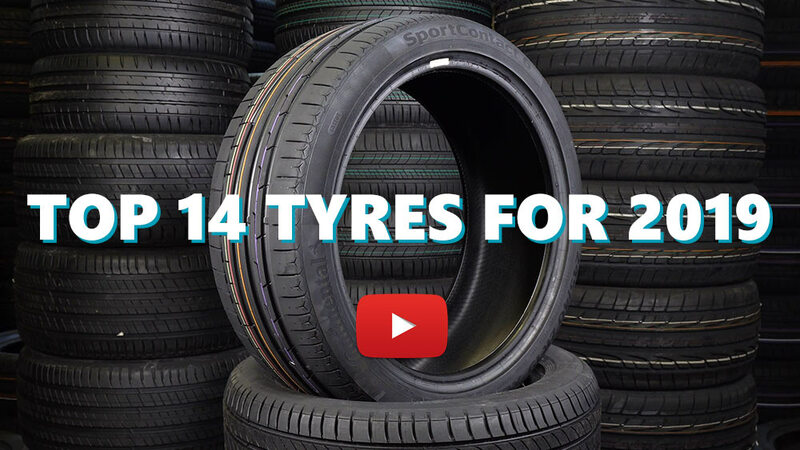 Your best bet is to watch this tyre recommendation video. Available in 50 tyre sizes - View all. I fitted these tyres in 225/40/18/y spec to my new shape 2013 Audi A3 TDI quattro 181bhp which has been chipped up to 230bhp. the stock tyres were Contintental Sportcontact 3 - which I found were loud on many surfaces and in the wet completely unpredictable. these tyres lasted to 16,000 and returned about 42mpg. I have now done 10k on the Eagle F1 assymetric 2's and have noticed a not insignificant rise to 46mpg and can say without a doubt on pothole and uneven roads the supple, compliant and confidence inspriring feel of this tyre has turned an already confident car into an absolute dream! hands down if you have an Audi Quattro (2013 onward) this is definitely the only tyre you will ever want to be considering placing on your vehicle. i dont know about other cars but for the A3 this tyre absolutely nails it and suits the character of the car. Have you driven on the Goodyear Eagle F1 Asymmetric 2 tyre? Please help millions of other drivers make an informed tyre choice and pick the correct tyres for their car by submitting your review of the Eagle F1 Asymmetric 2. As a road orientated tyre for use in a variety of conditions and situations, you really won't go far wrong with these. They offer very balanced performance and frankly astounding longevity, especially considering they have seen use on everything from city streets to technical tracks and alpine passes. When new, I was impressed by the grip and traction these tyres offered. Hard launches resulted in minimal slip and corners could be attacked with absolute confidence. Their on-track performance was admirable for a road tyre and although they went off after several hard laps, they remained communicative and progressive despite being overheated. I tend to avoid driving in the wet too much however I found these tyres to be great when new-good feedback and progression but perhaps lacking slightly in outright grip. These qualities remained throughout their life with only their aquaplaning resistance diminishing once past 50% wear, a trait which I imagine most tyres will suffer from to some degree. Although these are the attributes I value the least on this car, the F1 A2 performed faultlessly in all such areas. I have never noticed excessive noise, mpg has always been surprisingly good and I found them more comfortable than the continental M3's they replaced without any obvious trade off in steering precision. Their longevity remains a constant surprise, they just don't wear out anything like as quickly as I would have thought. In fact, I wish they had worn out faster so I'd have had an excuse to try something else! As a do it all tyre I would really recommend the F1 A2, with one caveat. I do a fairly low annual mileage, using my car mainly for fun and found that their performance dropped noticeably after several years. Tread depth was still high when I first experienced this and at that point they hadn't been overheated on track. Cold temperatures also seemed to affect the tyres far more significantly in the last couple of years which wasn't the case when new, so I can only assume that they have perhaps hardened over time despite being stored in ideal conditions when not in use. For that reason alone I couldn't completely recommend them as a tyre that might see 5+ years of service on a sparsely used performance car, but would suggest that anyone using their car in a more regular, daily driving scenario would be very happy with them. As for whether I'd (theoretically) buy them again, yes and no. I wouldn't on my car given the age related performance degradation but would, and have done so, on my girlfriends Z3 (F1 A3) as I feel they are a great tyre for the money and suit her usage pattern perfectly.